The next time you’re part of the team organizing a bachelor party, what do you have planned? The old idea of getting to Vegas for strippers and hitting the Strip is outdated. You can get all the thrills you need without taking it to that level of cliché. So how about something different? How about taking a trip to the great Canadian north? In particular, we’re going to look at some of the best experiences Ontario can offer you and your pals. A lot of guys like hitting the casinos for a bachelor party. But you don’t have to head to the hugely expensive, overwhelming experience that is Vegas. You can have a much more chilled out yet exciting experience right on the Canadian border. 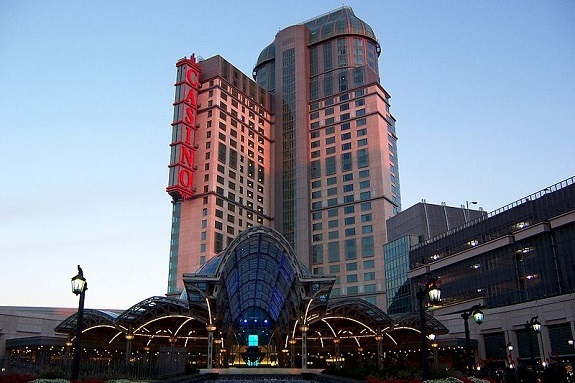 One of the best Canadian casino resorts is the Niagara Fallsview. There are 40 table games and nearly 3,000 slots to keep you occupied. When you want to relax, just take a stroll outside for one of the best views of the falls you can get. There’s plenty of dining and entertainment as you would get at Vegas. You just don’t have to deal with the fuss that is being in Vegas itself. If you want to skip the comforts of the casino entirely, then you can get away entirely and head into the wild. There are few things more manly than roaring through nature on something with a superbly powerful engine. Whether it’s a 650cc ATV or throttling through the snow on a ski mobile, James Bond-style. If you and your pals are the kinda guys who love the adrenaline of a drive, then try it in truly wild fashion. You’ll be taught how to navigate rocks, mud, dips, and rises. Before too long, you and your friends will be tearing through the wild like nobody’s business. With big groups of guys, there’s always going to be some sort of competitive element. That’s just how we are. There are few things better than showing one of your closest friends just how it’s done. Ontario can offer that in the form of places like Battlesports in Toronto. Once you’ve decided you’re quite okay with shooting your buds (safely) then it’s about picking your weapons. From NERF gun battles to archery dodgeball. Or if you prefer shooting something with real edge, there are plenty of awesome archery ranges. In Battlesports and all throughout Ontario. If you fancy yourself the marksman, it might be just the way to show all your pals up and show them what you got. As you can see, there’s plenty to get from Ontario on your next trip. If you want that gambling thrill, you can get it all in place that’s more tourist friendly and a lot less obnoxious. Or you can get some of that masculine physicality out of the way before the wedding with wild holidays and fierce competition. It’s clear there are plenty of choices to make it your own.